Individual Training Plans with various options. Jen Goff has been competing triathlons since 2004 and enjoys training and competing in cyclocross during the off-season. She earned her MEd. from Springfield College in Advanced Level Coaching and has coached DI and DIII college soccer since 1995. When Jen decided to put her career as a college soccer coach on hold to be a full-time mom, she also decided to take her triathlon training to a new level by hiring a coach, which then sparked a new passion for triathlon and coaching other triathletesJen frequently places in her age group and was named an honorable mention All-American in 2007 & 2008. 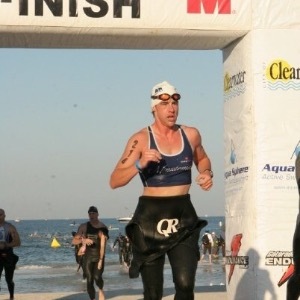 She also qualified for and competed in the 70.3 World Championships held in Clearwater, FL during the 2007 season. Most recently she completed Ironman Lake Placid. Jen is eager to help her clients, beginner or experienced, achieve their goals with attention to the specific needs of each individual. Success. Coach Jen Goff has been notified of your message.